On Wednesday, May 23, at 3 P.M. 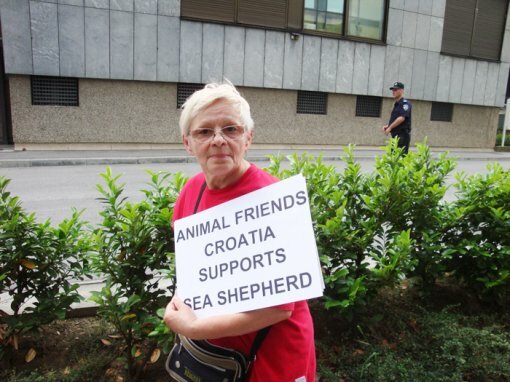 Animal Friends will protest in front of the German Embassy in Zagreb, Ulica grada Vukovara 64. 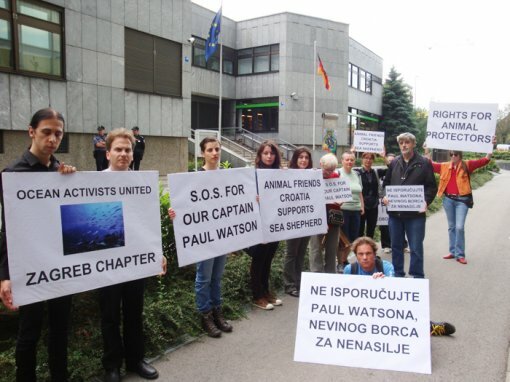 The protest will be held as a support to the Captain Paul Watson, founder of Sea Shepherd Conservation Society and former influential member of Greenpeace, who was yesterday released on bail of 318,000 USD after spending more than a week in a Frankfurt jail. 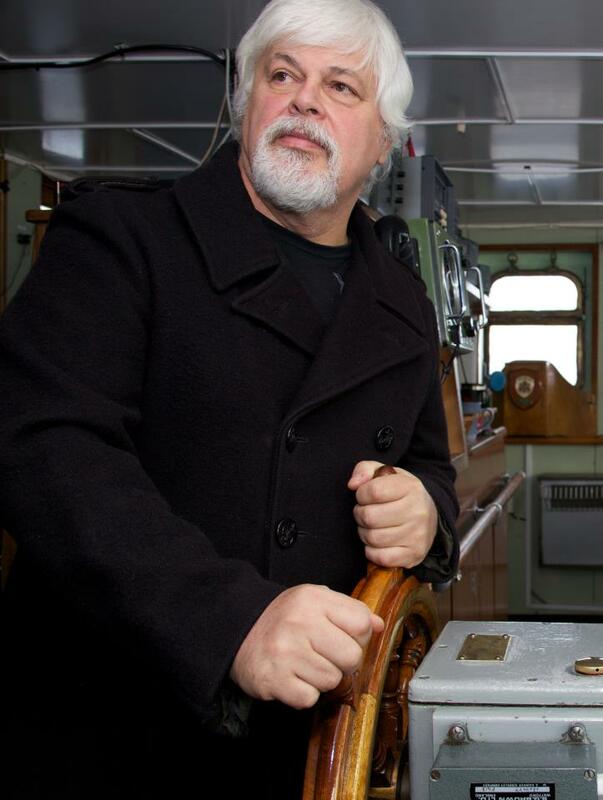 Captain Paul Watson was arrested when the Costa Rican government issued the arrest warrant against him alleging "violation of ships traffic" in Guatemalan waters during a 2002 campaign against illegal shark finning. He has denied any wrongdoing. "I had to take action with my crew a decade ago to protect hundreds of sharks, and of course, those shark poachers have very powerful allies in government and other places," he said. Even though Captain Paul Watson, a non-German national, was released on bail, which is almost unheard of in an extradition proceeding, the battle to save his life is not over. 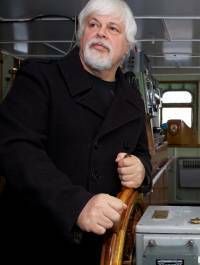 Carrying out an extradition to Costa Rica would be the same as carrying out a death sentence, because Captain Paul Watson's enemies within the shark fin mafia are capable of reaching inside the prisons of Costa Rica. 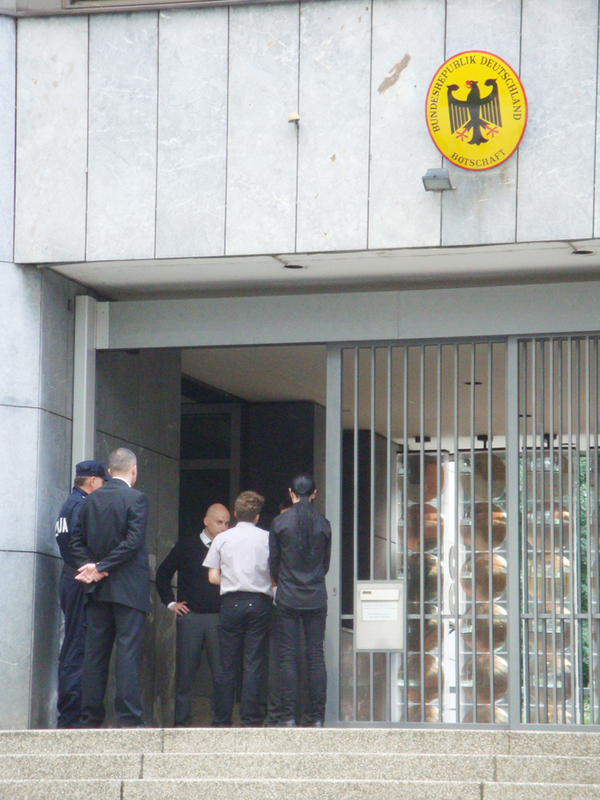 If extradited to Costa Rica, it is unlikely Captain Paul Watson would live to see the inside of a Costa Rican courthouse. 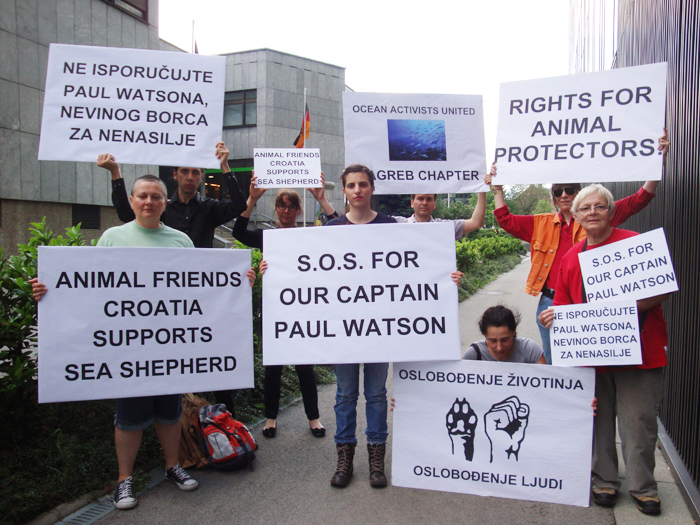 Osim handing over a notice of protest for the Honorable German Ministers of Justice and Foreign Affairs with a demand not to carry out an extradition of Captain Paul Watson, Animal Friends will held a peaceful protest in front of the German Embassy in support to Sea Shepher and their captain in their fight for sea mammals and other animals. On the S.O.S. Global Day of Action to save Captain Paul Watson, the President of Costa Rica, Laura Chinchilla, will be visiting German Chancellor Merkel in Berlin.